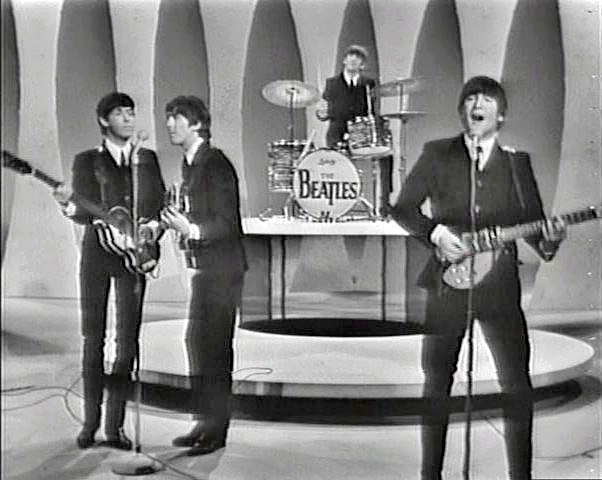 On this 50th anniversary of the Beatles appearance on the Ed Sullivan show, it’s appropriate to discuss one aspect their impact on American kids: The desire to play rock-and-roll music themselves! The world was never the same for me after watching this! I had heard many rock-and-roll records, but it wasn’t until the Beatles that I wanted to play that music myself. I played sax in our elementary school band but after watching the Ed Sullivan show that February Sunday night in 1964, I knew I’d never feel the same way about it. 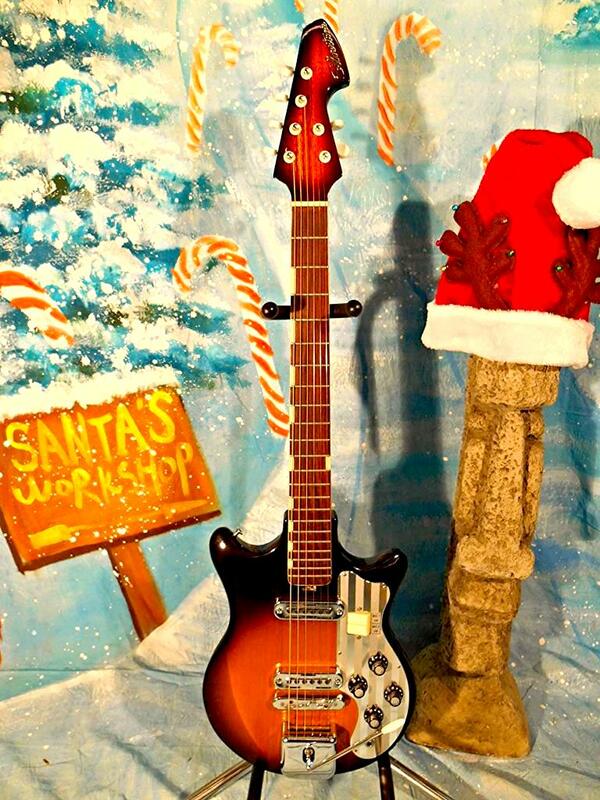 Later that year, my mom and dad gave in to my begging and ordered me a Silvertone guitar for Christmas from the Sears catalog. 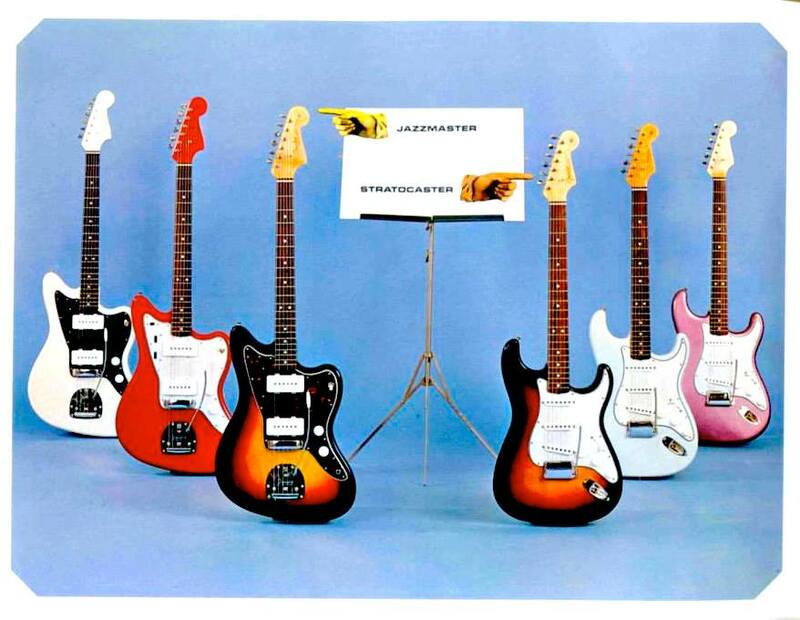 It was a solidbody in sunburst (a Japanese Teisco-made 1435 model) and cost about $65. It looked great but the thing was miserable to play, especially when fitted with Black Diamond strings, which was the only kind you could buy at the drug store. I had no amp, and I almost killed myself when, using some parts I found in my dad’s tool chest, I made a cable that had a 1/4” microphone jack on one end and a two-prong electrical plug on the other. I didn’t realize that an electric guitar needed an amplifier, so I was ready to just plug it into a wall outlet. Luckily my dad walked by just before I plugged the thing in and explained some things to me! I was able to use an old shortwave radio that had a mike input jack as my amp after that. 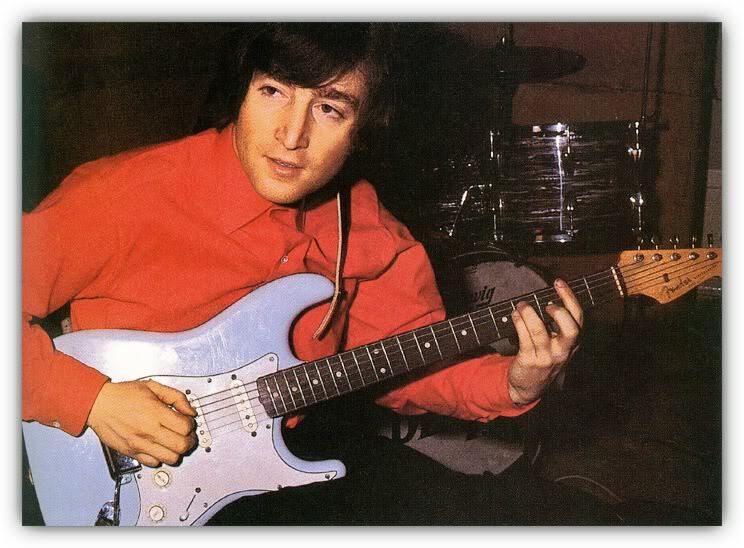 By the time the Beatles recorded their Revolver album, John and George had matching Fender Strats! We took turns borrowing that catalog overnight and reading it over and over. 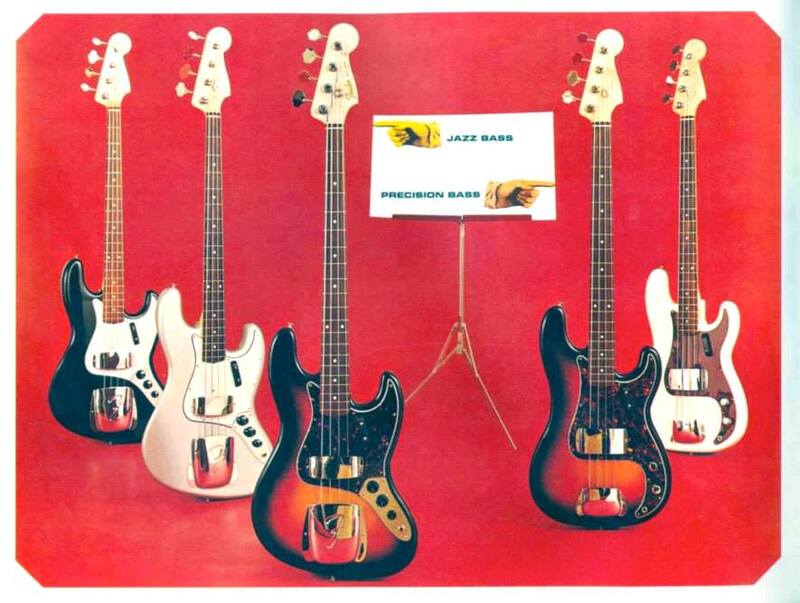 I remember I wanted a Fender Jazz bass and a Bassman amp, because a bass, played with single notes, was more like a saxaphone than a guitar was. Over the years, I had several Fenders. 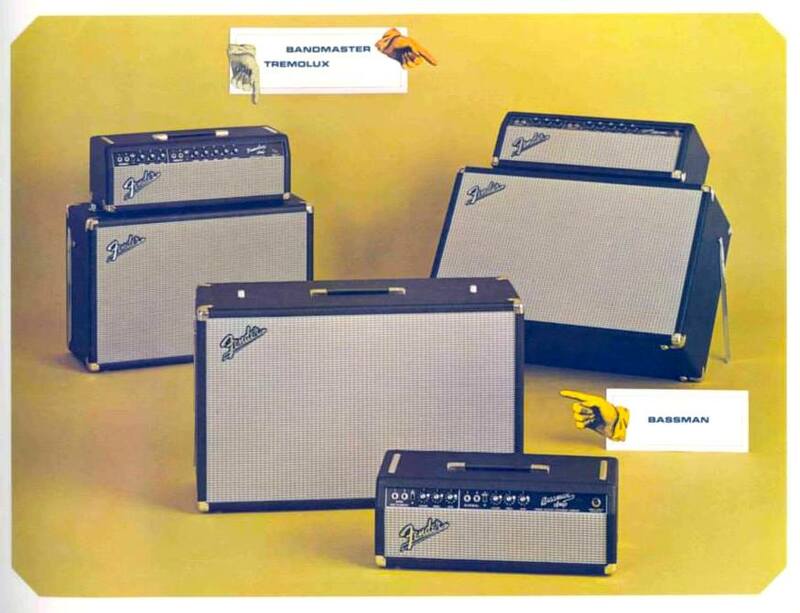 I still do and still get a thrill out of those wonderful instruments and amps. 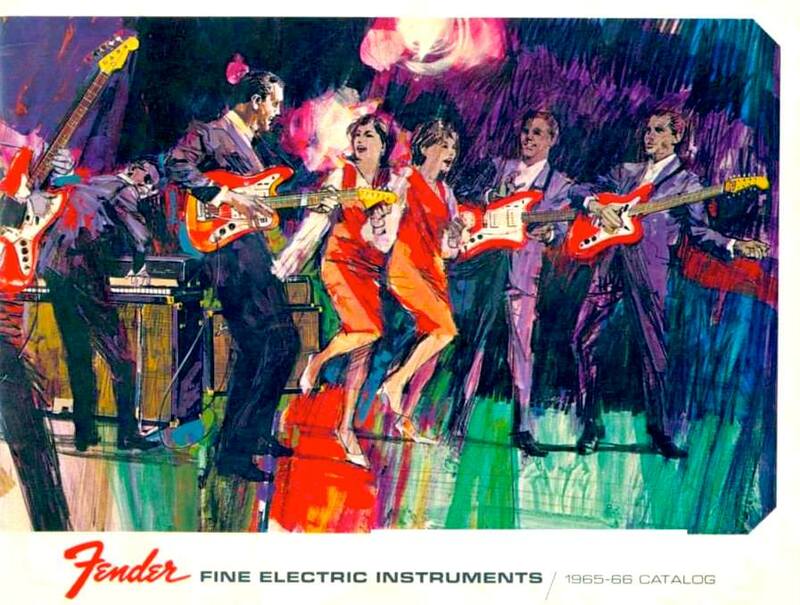 But I’ll never forget the excitement of reading that catalog over and over and dreaming of having whatever Fender guitar, or bass, or amp I wanted for free.